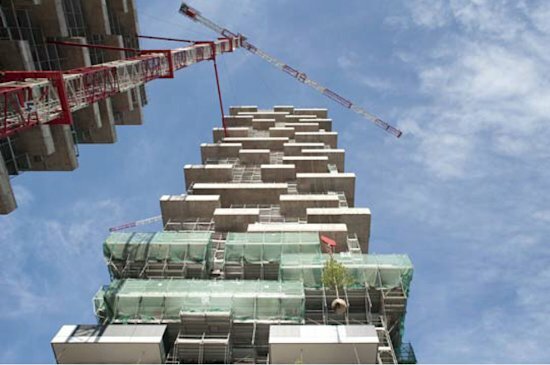 In Milan, a new kind of skyscraper is under construction. Once complete later this year, the two-building project will be covered in greenery, an effect that gives the buildings their name: Bosco Verticale, or Vertical Forest. A plan for one of the apartments. (Courtesy of Boeri Studio)Yahoo! News spoke with Boeri Studio, the architectural firm behind the buildings' design. Construction on the residential skyscrapers began in 2008 and is set to be complete sometime this year when people can move in. But people aren't the only residents. Also moving in: a heckuva lot of trees, plants, and shrubs. 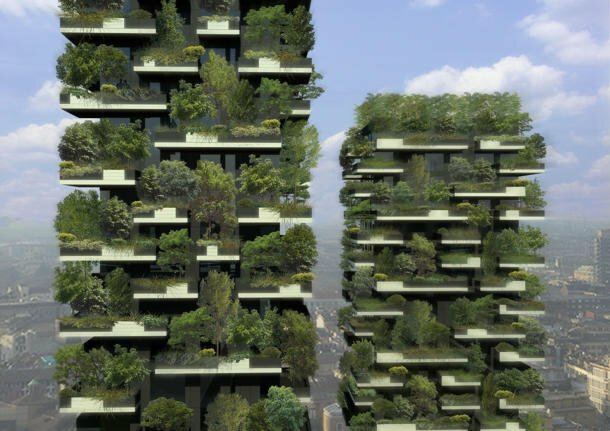 The two buildings (26 stories and 18 stories) will be quite literally covered in green: 480 big and medium-size trees, 250 small trees, and roughly 11,000 groundcover plants, according to the firm. It's the equivalent of a hectare (almost 2.5 acres) of forest on the sides of the buildings, the firm says. But the trees and bushes and plants aren't just for show. The designers explain that they will also help to filter out air pollution, a major problem in big cities like Milan. 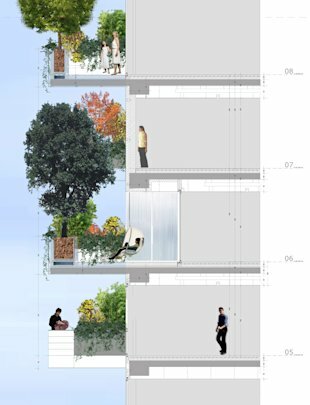 "Vertical Forest helps to build a micro-climate and to filter dust particles which are present in the urban environment," write the designers. "The diversity of the plants helps to create humidity, and absorb CO2 and dust, produces oxygen, protects people and houses from the sun’s rays and from acoustic pollution." Artists Unlimited ツ: Amazing Idea! !